The beauty ideal: The Underrated Face Wash.
Let's face it, The Body Shop is known for getting it pretty much bob on when it comes to skincare - and for that reason, you don't really hear (or read) much about their products unless they're new or downright amazing. Hence why I'm writing this post right now - this product has blown me right away this past week. 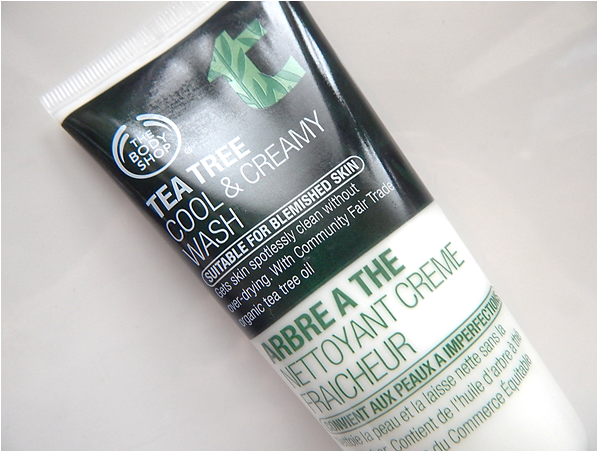 The Tea Tree Cool & Creamy Wash is hands down one of the best face washes I've ever used. Ever. I've been using this for the past 4/5 days now and my skin has changed dramatically. I've never really suffered terribly from spots/blemishes but recently I just couldn't seem to get rid of this nasty bout of them. Every time one vanished another much angrier one would take it's place and even to this day, I'm not entirely sure what was causing them. Enter this bad boy and my skin's cleared up considerably. I still get blemishes don't get me wrong, but since adding this into my skincare routine they've not been popping up half as much. I like to use this in the AM as well as using it whenever I have a shower. It's so refreshing and cooling on the skin and actually helps combat spots...and all for £5.00! It gets a huge thumbs up from me, this one. Totally agree I love this face wash, helps to actually keep those nasty breakouts at bay! One of the best face washes ever? EVER?! Now that's quite a claim. I really want to try this.